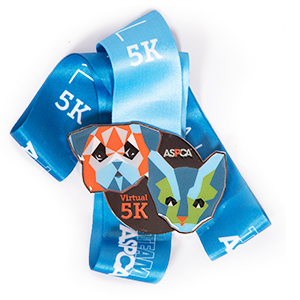 This Fall, Maggie, Zulu, and I will be participating in the ASPCA Virtual 5K! After submitting my veterinary school applications, I wanted to start benefitting animals as soon as possible. What better way than walking my dogs and raising money?! Please support us by making a donation in any amount and help us make a positive impact in the lives of animals! This campaign ends November 12, 2017. For every mile we walk, I will donate $5 to the ASPCA via this campaign. For every $5 that is donated, I will run an additional mile. Our donations will help the ASPCA provide life-saving programs and services to millions of animals nationwide, including those affected by the many hurricanes and other natural disasters across the country. We appreciate your help as we fight to give abused and homeless animals a second chance at life. To follow our milage progress, make sure you are following Maggie and Zulu's instagram - @taleoftwodachshunds - there will be TONS of cute photos added and a record of our milage will be updated regularly in their bio!